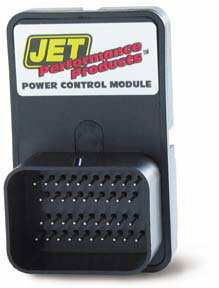 The JET Performance Module for Dodge, Chrysler and Jeep vehicles is a JET exclusive. Dynamic Spectrum Tuning provides power gains across the entire power band-not just at full throttle. Point by point air/fuel ratio, ignition advance and various other tuning points provide performance gains of up to 25 horsepower. Improves throttle response, acceleration and low end torque. Simple, plug-in installation in less than 30 minutes. Available in Stage 1 and Stage 2.